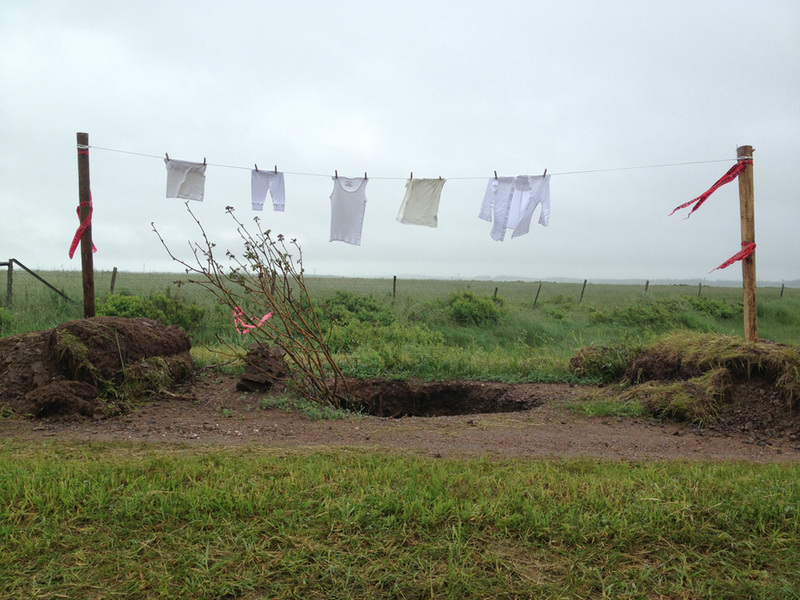 the clothesline hung over a sink hole on a public access road around the RCI site lasted for 1 year and was documented with photo and video throughout. Industrial Domestic is a body of work comprised of various series about intersections between the domestic, the rural, and the industrial. 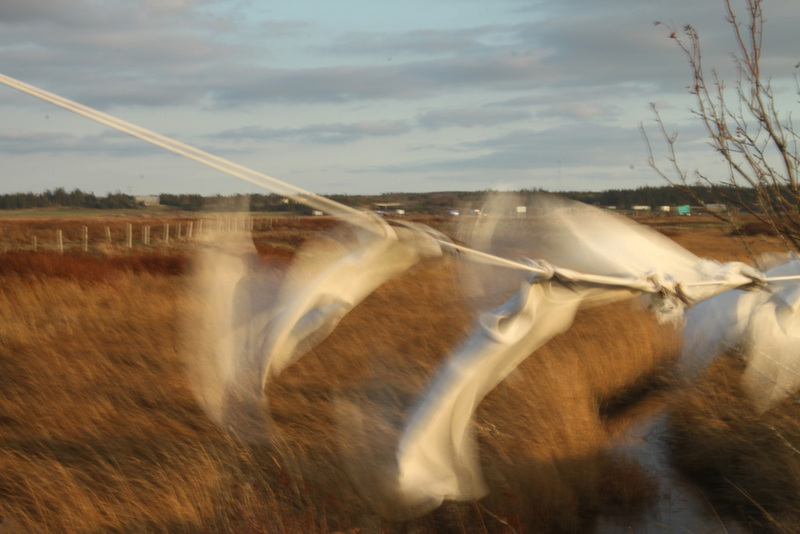 Each series is documentation of an intervention in landscape using domestic objects serving an indstrial function. 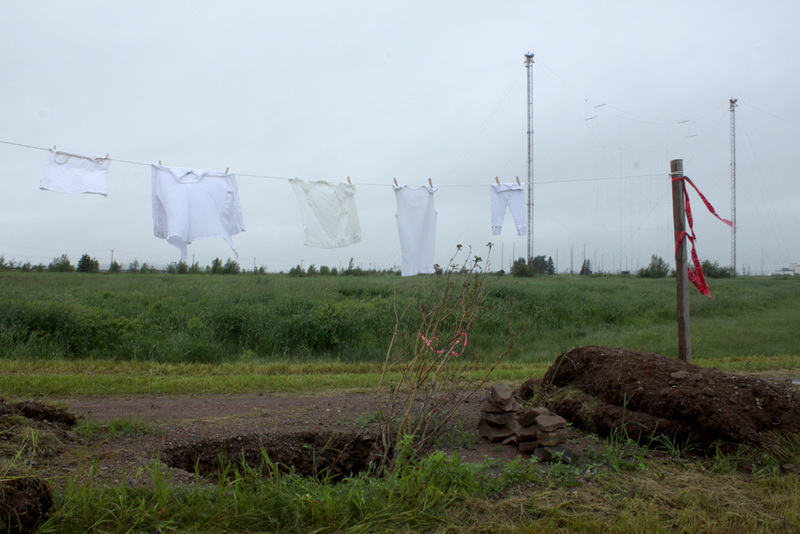 Laundry Line Antennae references the documented events in Sackville when people's clothesline acted as antenna and picked up radio broadcasts from the RCI radio towers on the Tantramar Marshes. Most documented stories about this phenomena relate to the Anderson farm which was a dairy farm located very close to the RCI site. In the 1960s the farm was bought by the CBC because it was too close to the site, and the woman of the house was getting dangerous electrical shocks from her clothesline whenever she hung out the wash. 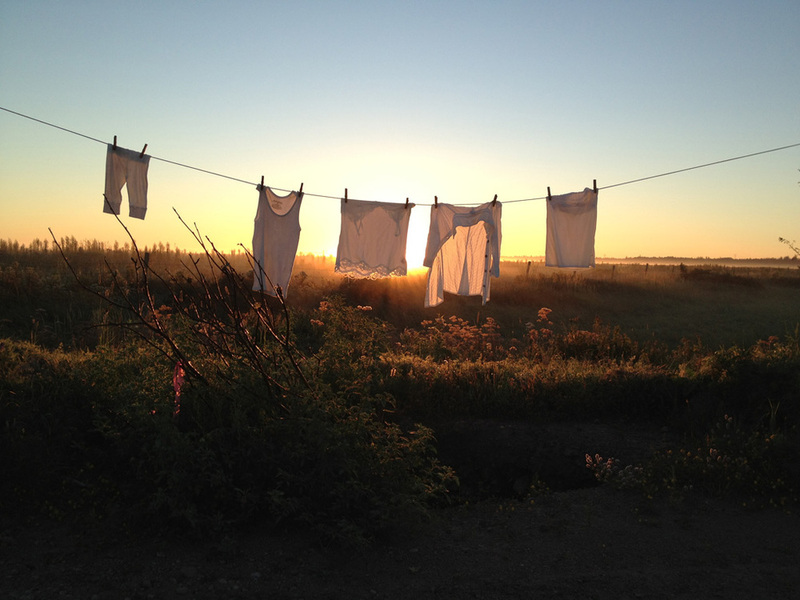 In audio recordings that I did with her children in 2009, they recount various stories about hearing the radio from their clothesline.